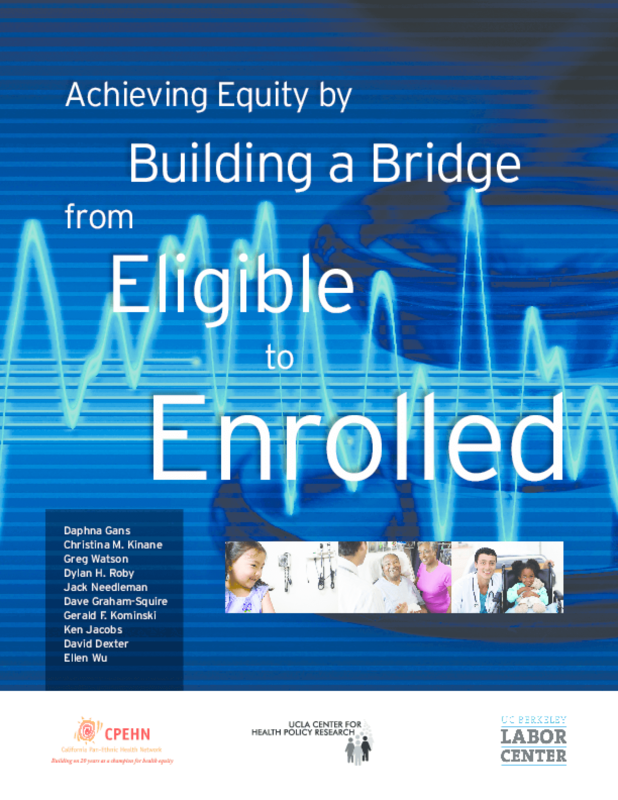 Calls for multilingual outreach and enrollment efforts to enable Californians of color and those with limited English proficiency to benefit from the Health Benefit Exchange. Recommends targeting high-need groups and strengthening data collection. Copyright 2012 UCLA Center for Health Policy Research, Center for Labor Research and Education at University of California, Berkeley, California Pan-Ethnic Health Network.